Last weekend, Minneapolis fashion enthusiasts gathered for the 11th season of Envision Artopia Fall 2012 – the Twin Cities' largest annual fashion show. The yearly collaboration between V2, Ignite Models, and City Pages celebrates the best in local art, music, and of course, fashion! 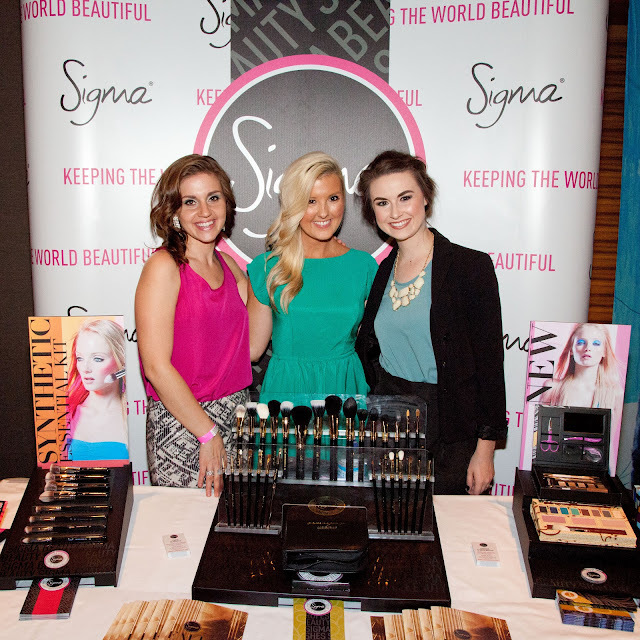 This year, Sigma was a proud sponsor! The runway show this time around featured fall fashions from several local boutiques and designers including Amanda Christine, Cliché, Drama, deLange Designs, Khamphian Vang, KJurek, Local Motion, Martin Patrick3, and Roe Wolfe and accessory designers Cayetano Legacy Collection, Rewind, SBG Designs, and Via Patina. The core of the various installments was centered around vintage looks reminiscent of the 1920s with an unmistakable trace of avant-garde influence. In addition to all of the suggestive Great Gatsby pieces, a noteworthy appearance was made by fall staples including ponchos, over-sized sweaters and trenches. The makeup consisted of smokey green eyes paired with red lips that presented a bold, yet simple look. The hair showcased elegant, wavy faux bobs – very fitting of the modern Jazz Age. We also couldn't help but fall in love with the various antique-like baubles and embellishments that made a striking debut. Proceeds from the art silent auction in addition to $1 of every pre-sale ticket went to benefit Free Arts Minnesota, a non-profit organization dedicated to bringing the healing powers of artistic expression into the lives of abused, neglected, and at-risk children and their families. What do you think about these looks? What are your favorite fashions and trends for this fall?